Our water tanks are manfactured to our high standard of quality. Standard UK mainland delivery is 3-5 days. Next delivery available on selected products. Please call for details. International delivery is available. Please call for details. 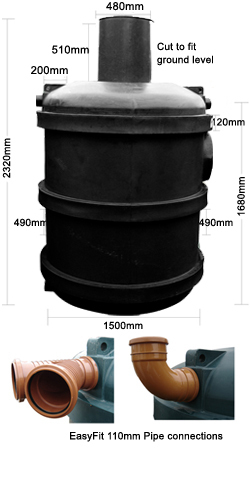 Ecosure potable water tanks are Manufactured using WRAS Approved polyethylene Icorene 1314 DW Black 9001 or Revolve N-748 Black approved under WRAS Approval 1202543 and 1201523 respectively.